Although the economy and real estate market are once again strong (or at least heading in that direction) in many areas of the country, the unmistakable signs of the recent economic crisis are still very evident in many neighborhoods. The most noticeable remnant of the country’s recent financial struggles is in the form of neglected or vacant properties that are common in quite a few towns. These properties may be foreclosures, or they may have simply been abandoned by owners who were no longer able to afford them. Either way, they are often showing clear signs of years of neglect. In some cases, they may have also become the target of vandals or trespassers who caused additional damage. Many of these homes are now being sold “as is” at a very low price. This type of opportunity can be very appealing to buyers seeking a way to buy a property at a big discount. Often, though, the buyer is so focused on the excitement of getting a bargain that they fail to fully consider the work that needs to be done, or they underestimate just how big of an undertaking this will be. Once reality sets in, they may start to realize that they may have taken on more than they can handle on their own. While fixer-upper properties can appeal to those in the DIY crowd, major renovation projects can often exceed the capabilities of most do-it-yourselfers. For those who don’t have advanced skills, things like wiring and plumbing are often best left to the professionals. At this point in the process, it is smart to contact a professional home remodeling contractor. Ideally, this should be done early in the process—before you attempt to do any major work—as the contractor can help you come up with a comprehensive plan for all of the projects that this renovation will require. That “big picture” view is crucial in allowing you to accurately calculate your budget and timeline. Another advantage of enlisting the help of a professional is that you can then tap into their vast knowledge and wisdom that only comes from years of experience. Even if this isn’t your first go-around with a fixer-upper, you probably can’t compare to the background of an established home renovation contractor, who may have remodeled many of these properties. A contractor has likely learned many things about working on fixer-uppers the hard way, and their insight can help you avoid going through those same challenges. They can warn you about common pitfalls, and advise you as to the best solutions to problems you are likely to encounter. If you are still eager to flex your own DIY muscles, most likely there’s a way to divide up the work so that you can tackle smaller, focused projects while the contractor handles the more complicated or challenging tasks. This can help you achieve the pride of investing some of your own sweat equity into the project, while at the same time allowing you to save a little bit of money. 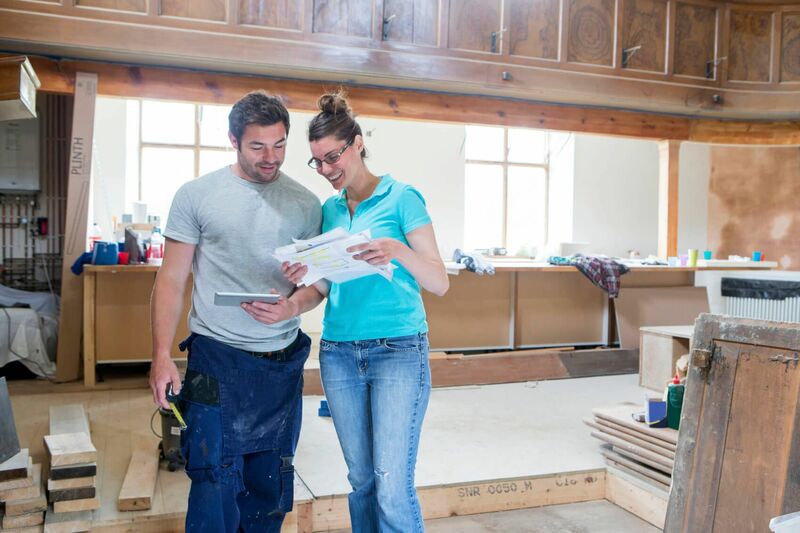 By working in a partnership with your home renovation contractor, you can be sure the work is done right, while also getting the project completed as quickly and efficiently as possible. The transformation will proceed at a fast pace, and you will be enjoying your amazing new property before you know it. Of course, a remodeling contractor can also be a big help even for projects that aren’t quite so extensive. Your property may not necessarily fall into the category of a fixer-upper, but may still be in need of just a little bit of TLC. Whatever your situation, we can help. RW Remodeling is one of the leading home improvement contractors in Phoenix, and we can handle renovation projects of all types and sizes.